Charles Schulz’s famous characters are making their way to apparel in a new collection. The A Bathing Ape x Peanuts collaboration is a full range of goods that has everything from pillows to bibs for infants. For the grown folks, there are graphic tees, polo shirts, jerseys, and denim featuring a mix of both Peanuts and BAPE graphics. There&apos;s even a graphic of Snoopy on top of an ape head. 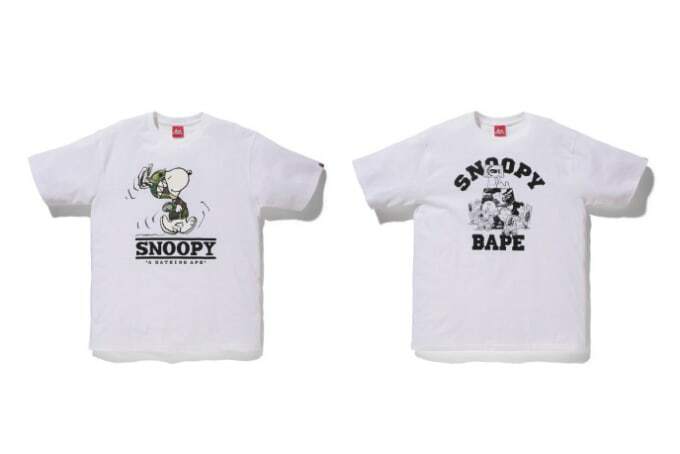 The full collection will be available at BAPE locations later this month. Keep an eye out.